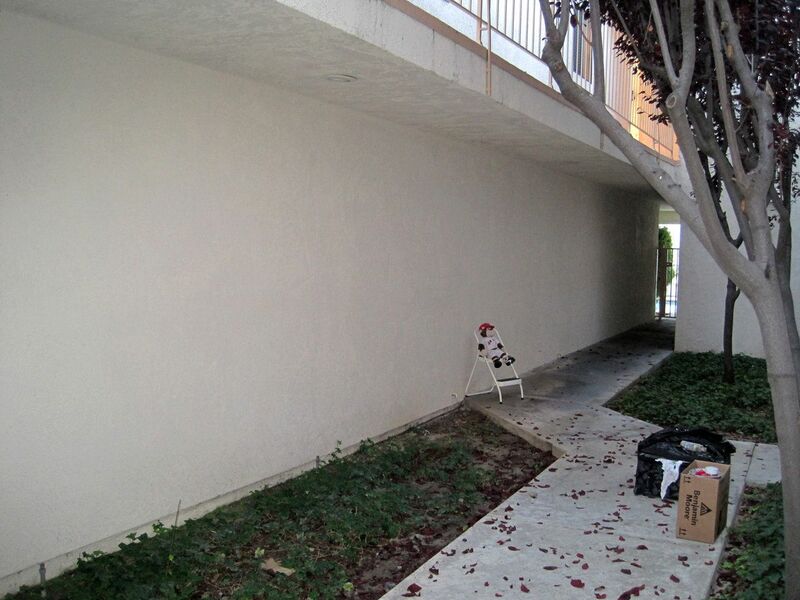 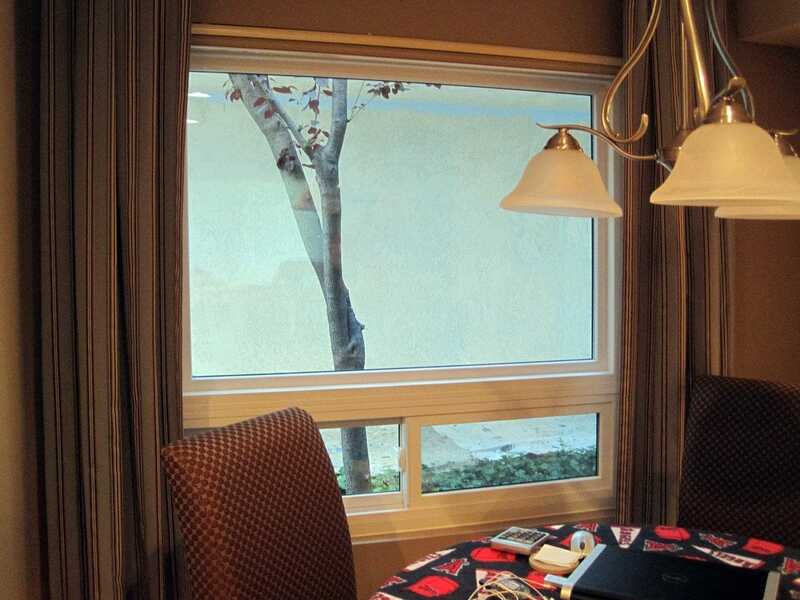 Carol’s apartment windows look out onto the side of a neighbors garage: a big, blank wall. 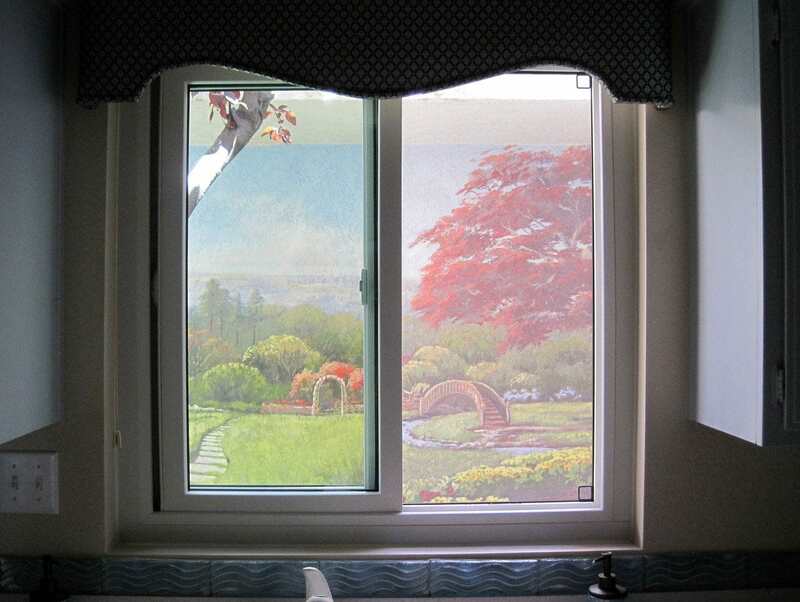 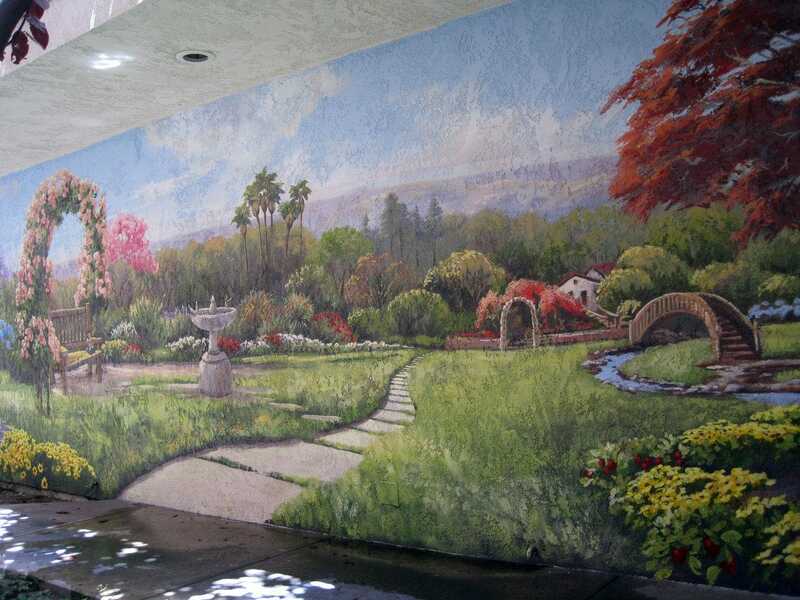 She had thought about a mural “since she bought the place” . 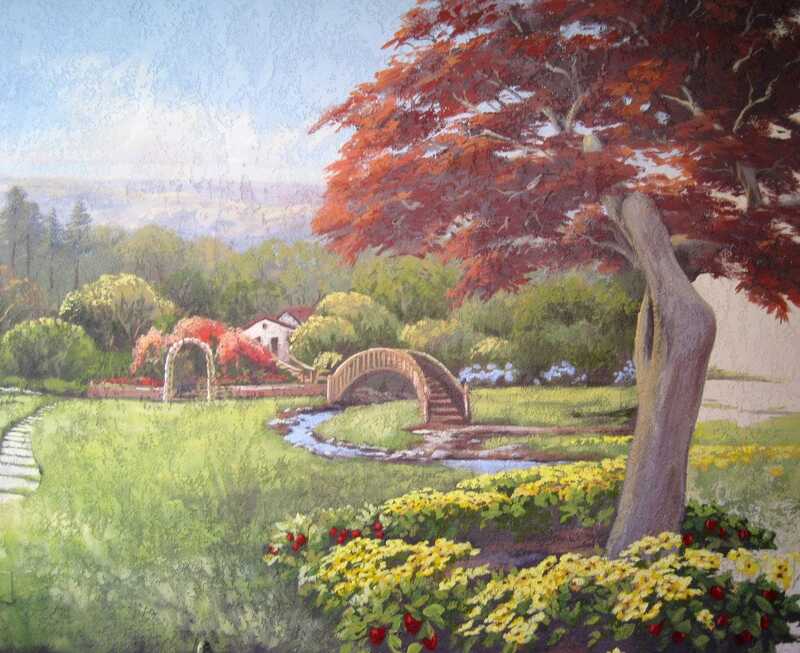 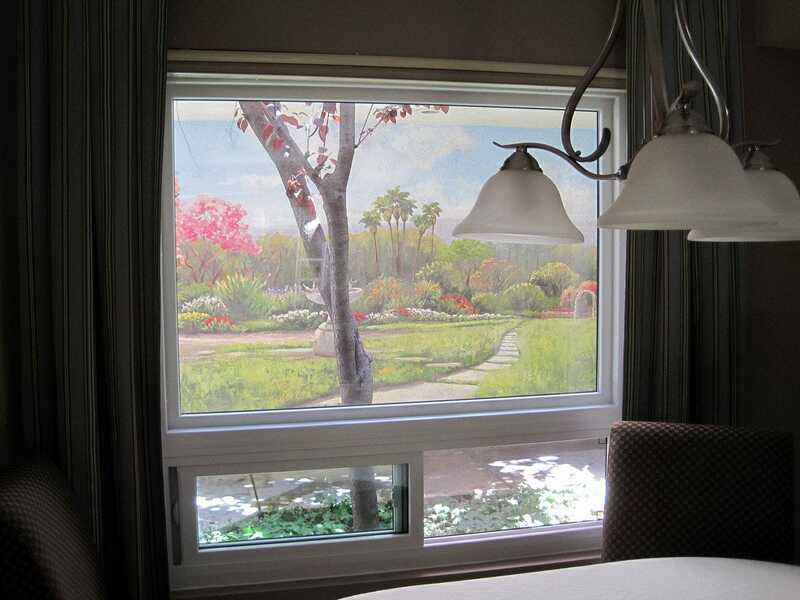 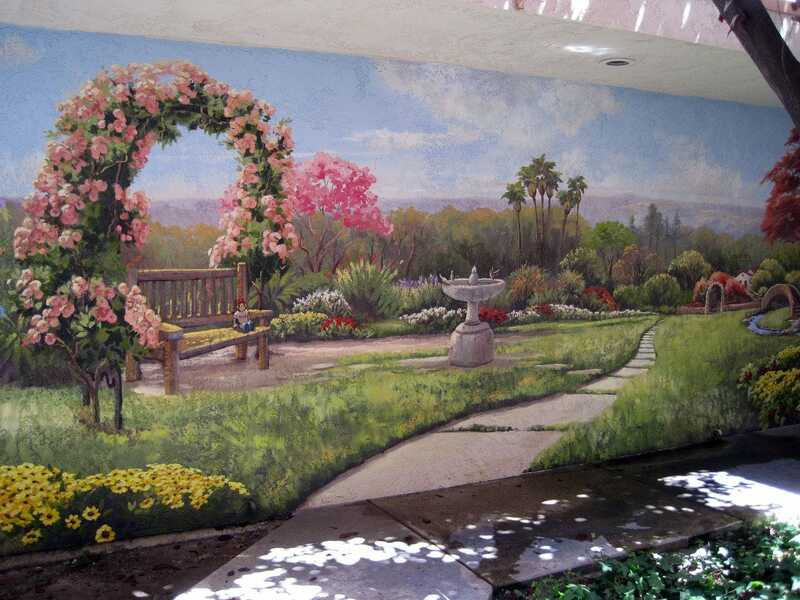 Carol wanted a garden scene, and when I found out she loved the Huntington gardens in Pasadena, CA, I took a field trip there to gain inspiration for the image I would create on her wall. 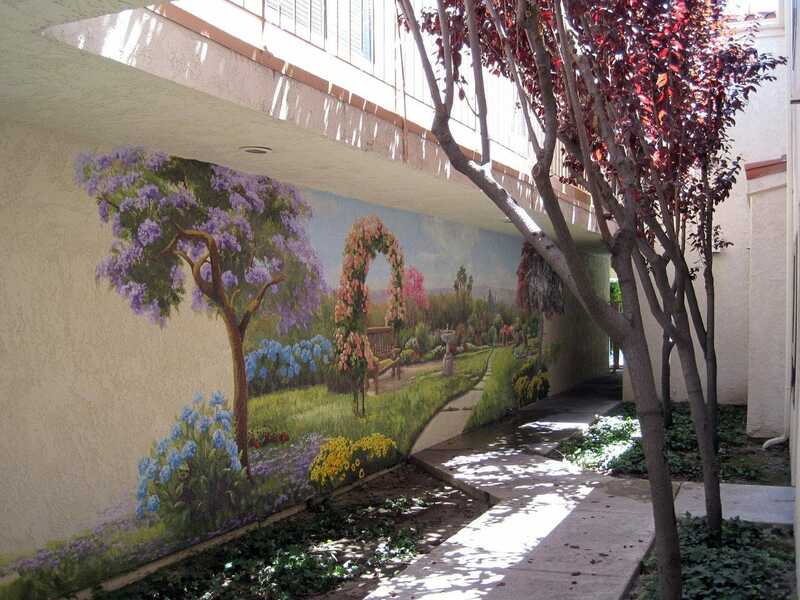 Instead of having a beige stucco wall, she now has a blooming, low maintenance garden to look out onto while she eats her breakfast!